The Best Codes for GTA: San Andreas. 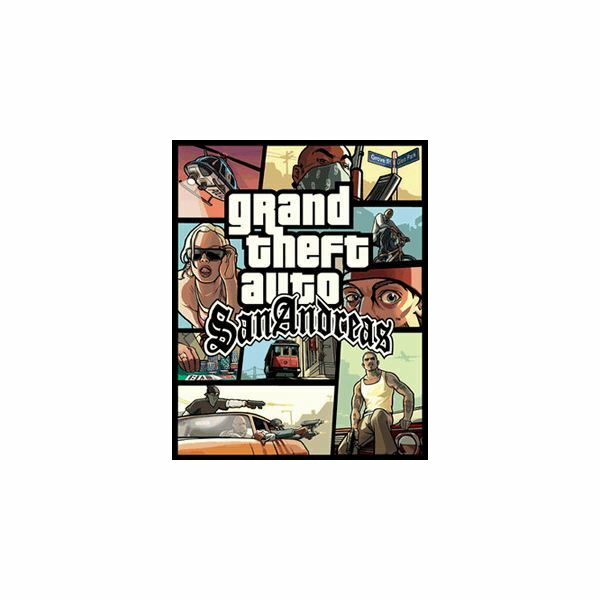 Grand Theft Auto: San Andreas was put out by Rockstar for Xbox, PC, and PS2. 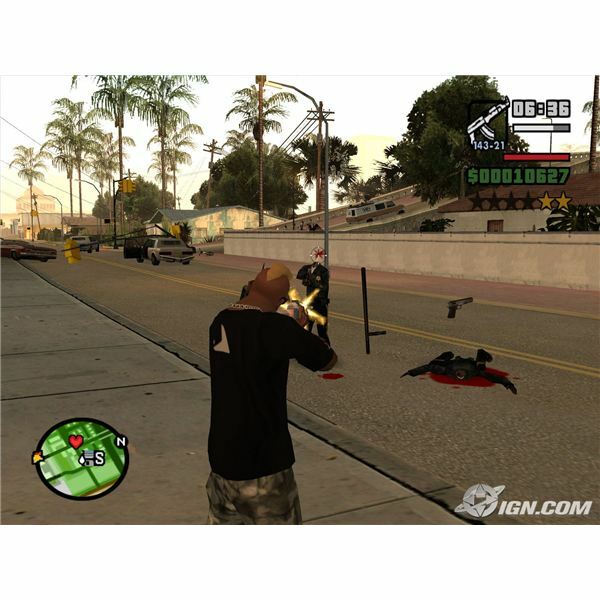 Having received great reviews and achieved stellar sales figures, the game was a cross between a third person shooter and a driving simulation game. There are additions to this particular title like gang wars and car and character personal customization. These are the cheat codes that are specifically for the PS2 edition of the game. Keep in mind there is no guarantee that these will work at any given time, so use at your own risk. They won't work for other consoles, and it's very easy to just barely input the code in the wrong order or too slowly and have it not work. While you're browsing the cheat codes below, feel free to check out our tips and hints for playing the game through without cheats! 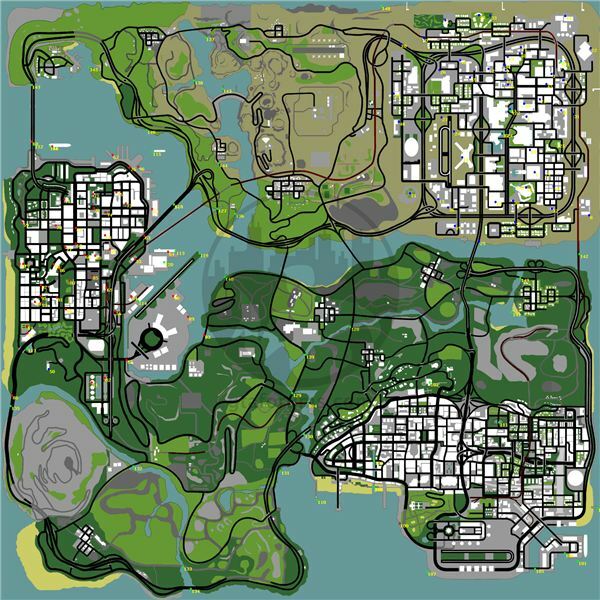 Also, assuming you aren't just spawning them in front of you, this guide for the top ten best rare cars and their locations could interest you. Give them a shot, find them all, and ride them in style! $250,000 – R2, R2, L1, L1, Left, Down, Right, Up, Left, Down, Right, and Up. Unlock Candy Suxx – Get a Vice City saved game onto your memory card. Load it into San Andreas. All Weapons – R1, R2, L1, R2, Left, Down, Right, Up, Left, Down, Right, and Up. Have All Hiding Items – L1, L1, O, O, X, Square, Triangle, R2, R1, Up, Down, and Down. Ladies Love CJ – O, X, L1, L1, R2, X, X, O, and O.
Jetpack – L1, L2, R1, R2, Up, Down, Left, Right, Up, Down, Left, right, L1, L2, R1, R2, Up, Down, Left, and Right. Cane Weapon – Find the cane weapon in Los Santos, to the Vine Wood Sign. Behind it with the V in Vinewood there will be a cane. Free Ammo at the Ammu-nation – Enter it’s shooting range with a gun that they sell, when you exit you’ll have more ammo. Rinse and Repeat as needed. Pilot’s License – Hop the Los Santos Airport fence and go into the SHAMAL. Fly it about 35 minutes. You’ll get a license and access to airports. Lose Wanted Level – R2, R2, L1, R2, Up, Down, Up, Down, Up, and Down. Faster Clock – Circle, Circle, L1, Square, L1, Square, Square, Square, L1, Triangle, Circle, and Triangle. Bounty on Head – Down, Up, Up, Up, X, R2, R1, L2, and L2. Suicide – Right, L2, Right, R1, Left, Left, R1, L1, L2, and L1. Clear Weather – L1, L2, R1, R2, R2, L1, L2, and Triangle. Full Armor – R1, R1, L1, L2, Left, Down, Right, Up, Left, Down, Right, and Up. Full Health – R2, R2, L1, R1, Left, Down, Right, Up, Left, Down, Right, and Up. Floating Car – R2, L1, Right, Left, Up, and Down. Foggy Weather – R2, X, L1, L1, L2, L2, L2, and X. Slower Game Play – Triangle, Up, Right, Down, Square, R2, and R1. Faster Game Play – Triangle, Up, Square, Square, L2, L1, and Square. Pedestrians with Weapons – R2, R1, X, Triangle, X, Triangle, Up, and Down. Pedestrians in Riot – Down, Left, Up, Left, X, R2, R1, L2, and L1. Pink Traffic – Circle, L1, Down, L2, Left, X, R1, L1, Right, and Circle. Black Traffic – Circle, L2, Up, R1, Left, X, R1, L1, Left, and Circle. Spawn Caddy – Circle, L1, Up, R1, L2, X, R1, L1, Circle, and X. Spawn Stretch – R2, Up, L2, Left, Left, R1, L1, Circle, and Right. Spawn Trashmaster – Circle, R1, Circle, R1, Left, Left, R1, L1, Circle, and Right. Spawn Romero – Down, R2, Down, R1, L2, Left, R1, L1, Left, and Right. Spawn Hotring Racer 1 – R1, Circle, R2, Right, L1, L2, X, X, Square, and R1. Spawn Hotring Race 2 – R2, Circle, Right, L1, R1, Right, Up, Circle, and R2. Spawn Ranger – Up, Right, Right, L1, Right, Up, Square, and L2. Spawn Bloodring Banger – Down, R1, Circle, L2, L2, X, R1, L1, Left, and Left. Spawn Rhino – O, O, L1, O, O, O, L1, L2, R1, Triangle, O, and Triangle. Spawn Monster Truck – Go to airport and into a hanger, then L1, L2, X, Triangle, Square, and Square. Spawn a Ferrari – R2, R2, L1, X, Left, Right, Up, Down, Triangle, Square, and X. Flying Boats – R2, Cicle, Up, L1, Right, R1, Right, Up, Square, and Triangle. Gore – Square, L1, Circle, Down, L1, R1, Triangle, Right, L1, and X. Codes and information from author's experience.